LIFE is an environmental education program for Maryland residents over age eighteen supported by the Chesapeake Bay Environmental Center (CBEC). 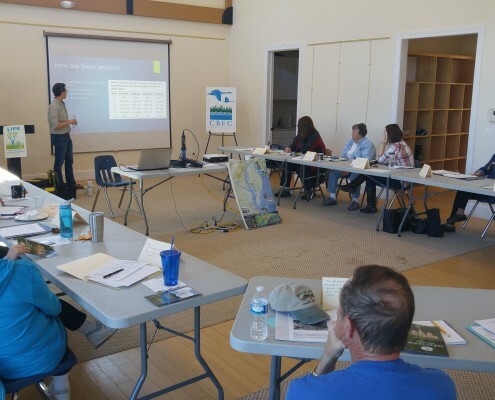 Our purpose is to strengthen and focus civic engagement among our participants and to enhance the capacity of CBEC to meet its mission on behalf of the Chesapeake Bay ecosystem. Through personal dedication and teamwork, LIFE stewards strive to educate ourselves and others on environmental issues, to continually contribute to the restoration of our dwindling natural resources, and to protect the environment for future generations. The mission of LIFE is to recruit and inspire Bay ambassadors via our annual Institute to foster environmental stewardship projects, and to provide lifelong in-depth learning experiences for the Chesapeake Bay Environmental Center community–volunteers, staff, and members– that parallel’s CBEC’s mission. 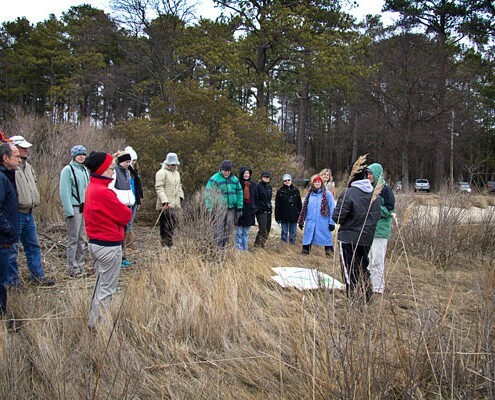 In 2004, The Wildfowl Trust of North America Chesapeake Bay Environmental Center (CBEC), in partnership with the University of Maryland Center on Aging, established the Legacy Leadership Institute for the Environment, bringing the time and talents of 10 older adults to environmental conservation, restoration, and habitat protection. The program became a collaborative one when CBEC was joined by the Adkins Arboretum and Pickering Creek Audubon Center 2005-2009. Legacy “graduates” are now providing volunteer service that has strengthened each of these centers’ capacity to meet their respective missions. 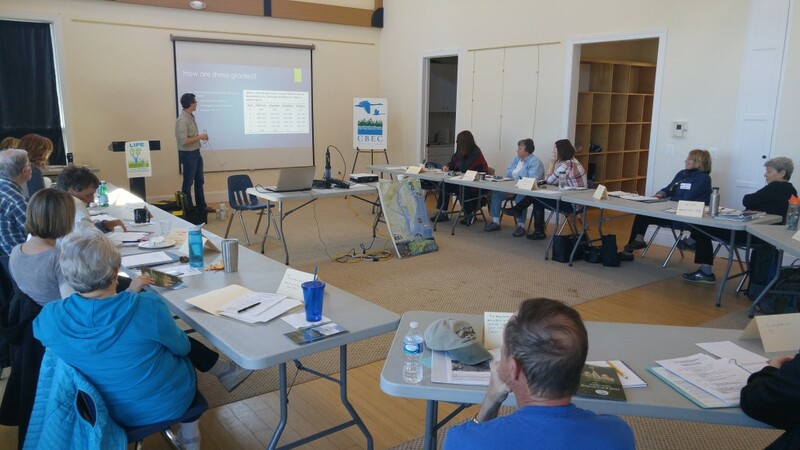 In addition, the Legacy graduates are utilizing their enhanced knowledge and skills to raise environmental awareness across an array of Maryland communities. In 2011 LIFE became sponsored by CBEC, the founding environmental center. Older adults can play a significant role in protecting the environment and educating communities and younger generations about the environment and threats to natural resources. They have the experience and commitment that can help preserve, protect and conserve fragile ecosystems. They are wisdom in action, with knowledge, energy and resources to give. As the University of Maryland Center on Aging states, Legacy signifies a mission to serve as intergenerational ambassadors who are committed to preserving the wisdom of the past, applying knowledge to community need in the present, and transferring these gifts to future generations (2001). The Legacy Institute for the Environment (LIFE) seeks to build social capital for the environment by providing lifelong learning opportunities and meaningful stewardship roles for older adults. LIFE’s approach focuses on collaborative partnerships, hands-on educational sessions and field experiences to build knowledge, skill and relationships through faculty comprising educators and scientists from a broad array of agencies and organizations; continuing education opportunities through seminars and field trips; and new direction and effort generated by the growing group of Legacy Stewards emerging from the program. 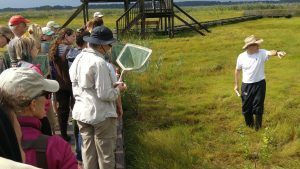 Through these environmental stewards, new generations of children and adults are learning about the fragile Chesapeake Bay ecosystem joining in efforts to strengthen its health and long-term well being. 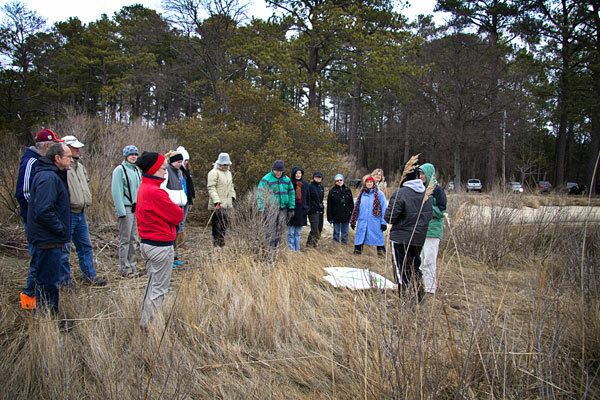 They are important new voices for the environment on behalf of the Chesapeake Bay watershed. To date, over 140 Legacy Stewards have emerged from this program. Grants from agencies including the Chesapeake Bay Trust, the National Oceanic and Atmospheric Administration, United Way, and the U.S. Environmental Protection Agency have provided support for these classes. 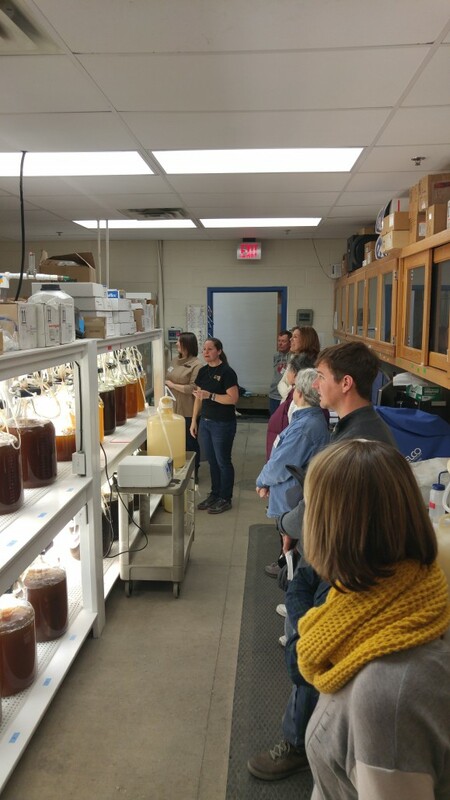 Each year, we expect that a new group of 10-15 adults will apply to participate in an 9-week series of educational sessions and hands-on learning in the Spring. A commitment of at least one year (40 hours) of volunteer service at CBEC will be requested from these Institute participants. CBEC is committed to the long term sustainability of the Institute as a means for building stewardship on behalf of the environment. 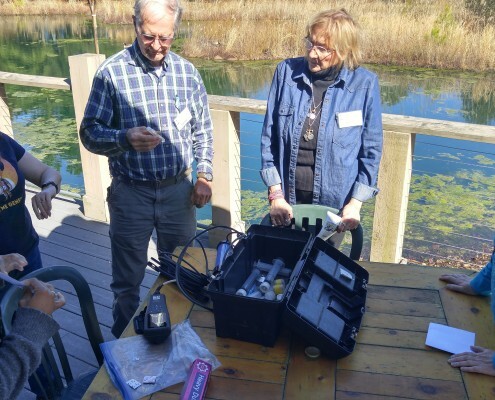 Make a REAL difference in our Chesapeake Bay Watershed by joining LIFE! To join like-minded people on a mission to create a legacy of protecting the environment for future generations. Who can become a Legacy Steward? 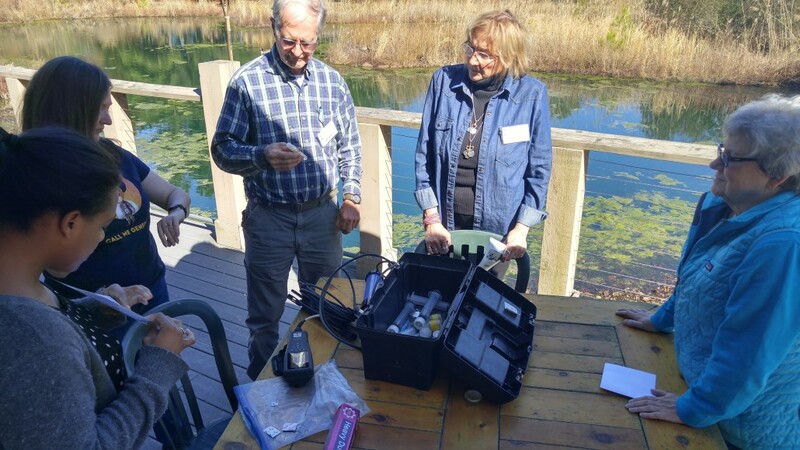 Maryland residents interested in learning more about the environment and desiring to volunteer time and talent at CBEC toward environmental education, research, restoration, and stewardship. How does the Institute Prepare Participants? 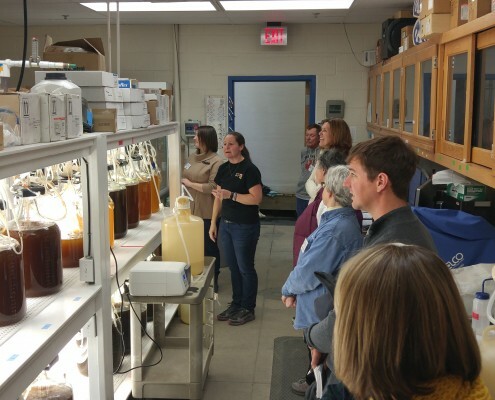 Participants attend fascinating educational sessions and participate in site visits guided by expert scientists, environmental educators, and professional consultants. When does the LIFE 2018 Program Occur? LIFE 2018 Applications are now being accepted and are due by February 21st, 2018. The LIFE 2018 Program begins on Wednesday, March 7th and meets for 9 consecutive Wednesday’s thru May 2nd, 2018. Each session begins at 9:30am and ends by 3:30pm. $150 dollars and 20 hours of volunteer/stewardship activities for CBEC.